This Shikoto Kogane (Japanese for "gold") Dynasty forged tachi puts elegance and power in your hand. This high quality and artistic item from the Shikoto collection offers a 30 3/8" blade of 1060 Damascus steel folded 9 times to 1792 layers for superior strength and flexibility. The blade tang has an exclusive stamp that can only be found on a United Black sword blade. 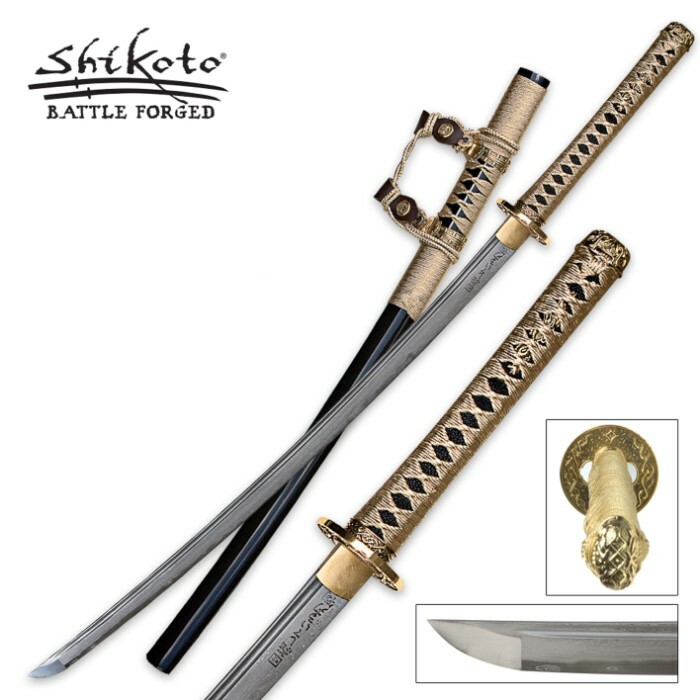 The hardwood handle offers black sting ray and black leather wrap that accents the custom designed brass plated guard and menuki. The hardwood sheath is adorned with distinctive artwork and nylon cord wrap and custom knotted rope. United Cutlery's latest category of exclusively forged swords and weapons; United Black offers a level of quality craftsmanship you've never before seen from the United product line. 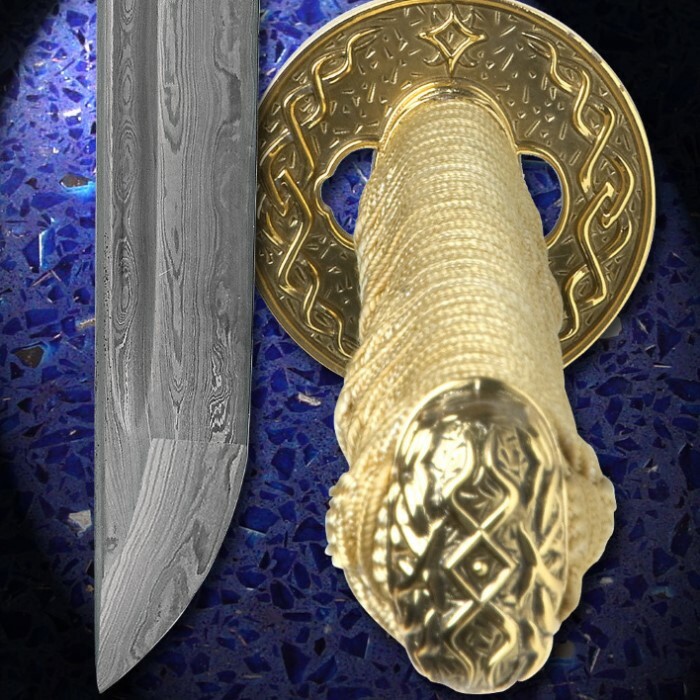 This fully functional hand forged sword is your first peek at what is guaranteed to be a successful brand in the sword industry.